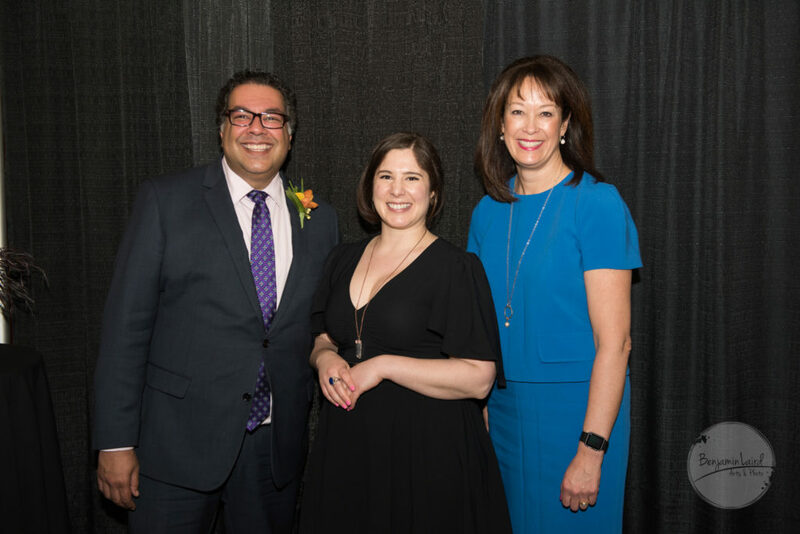 With a great turnout and fantastic conversations, the Mayor’s Lunch for Arts Champions was sold out for a sixth year in a row. 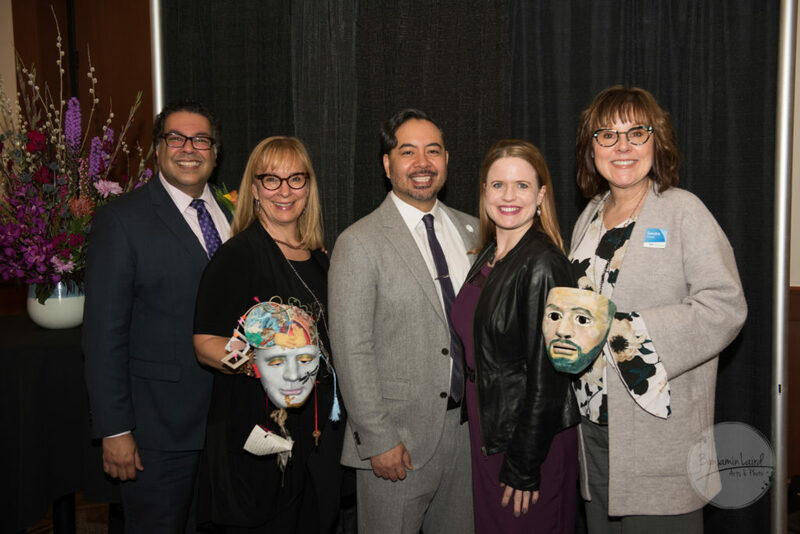 Organized by Calgary Arts Development and the Office of the Mayor, the April 18 event saw 630 Calgarians from all sectors gathered in the Palomino Room at the BMO Centre on Stampede Park to recognize and celebrate the many ways that they champion the arts in our city. 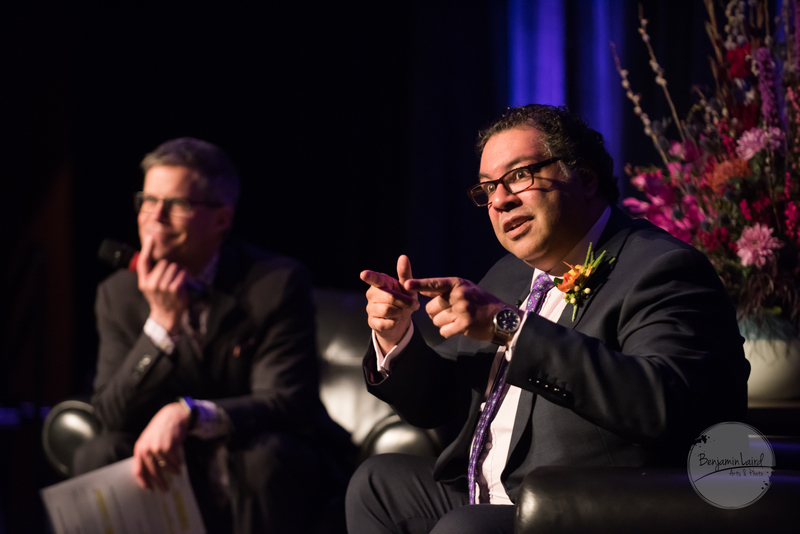 The event, hosted by Dave Kelly, featured a conversation with Mayor Naheed Nenshi including a question and answer session with Calgary artists and volunteers about the ways arts organizations are navigating new realities including the economic downturn. For an hour before the lunch, youth artists (under age 21) entertained attendees as part of the TELUS Youth Arts Showcase including musicians, DJs, circus performers, dancers, drummers, and visual artists. Recipients of the Cultural Leaders Legacy Artist Awards were announced through a video featuring interviews with award-winners and sponsors. 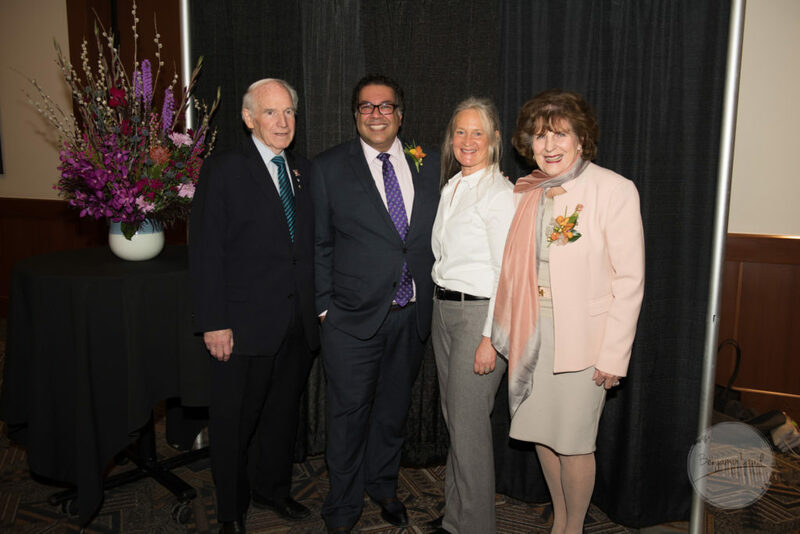 Each Legacy Award winner receives a $5,000 cash prize, which is funded by a contribution from a local philanthropist or organization with equal matching money from Calgary 2012. Wendy Passmore-Godfrey founded W.P. Puppet Theatre Society in 1991 to explore social issues such as mental health, education, diversity, and the environment through original puppet performances and learning opportunities. 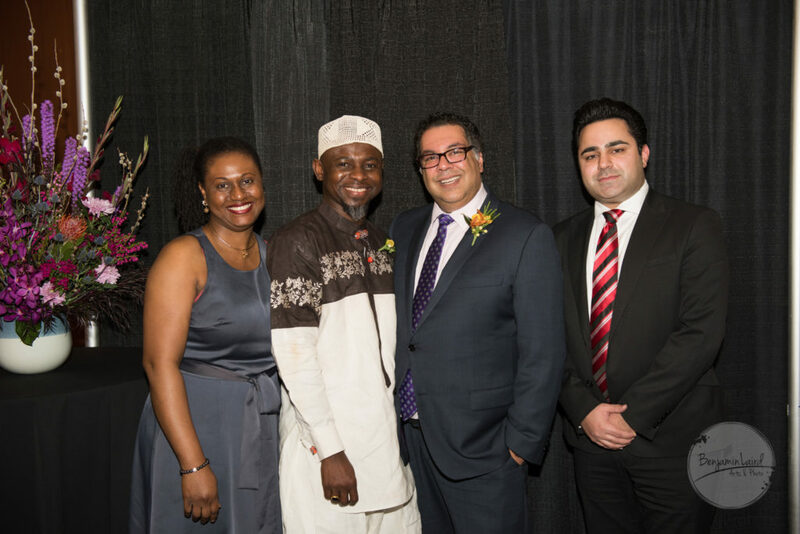 Lanre Ajayi is an emerging Nigerian artist and fashion designer based in Calgary and is driven to develop and launch his ethical fashion line in Canada. He is a visionary producing wearable fresh colours, patterns and silhouettes, all based on the inspired abstract paintings that he creates. 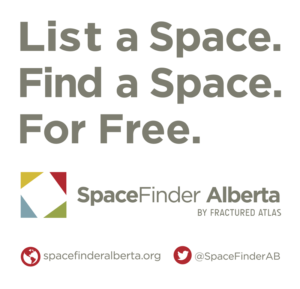 Sean Fraser has worked tirelessly towards the creation and promotion of affordable and accessible space for artists and the community to work within one space for the benefit of all. Natasha Jensen’s art practice has a strong feminist voice that resonates through drawings, animations and programming that is disrupting the cultural landscape. 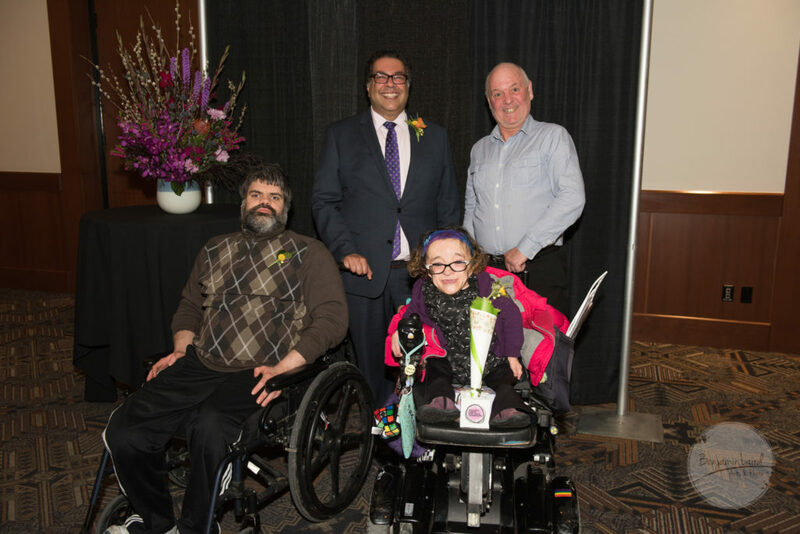 Inside Out Theatre is a momentous force using a well-rounded arts approach to insist on and celebrate people with disabilities’ place within Calgary’s cultural landscape. 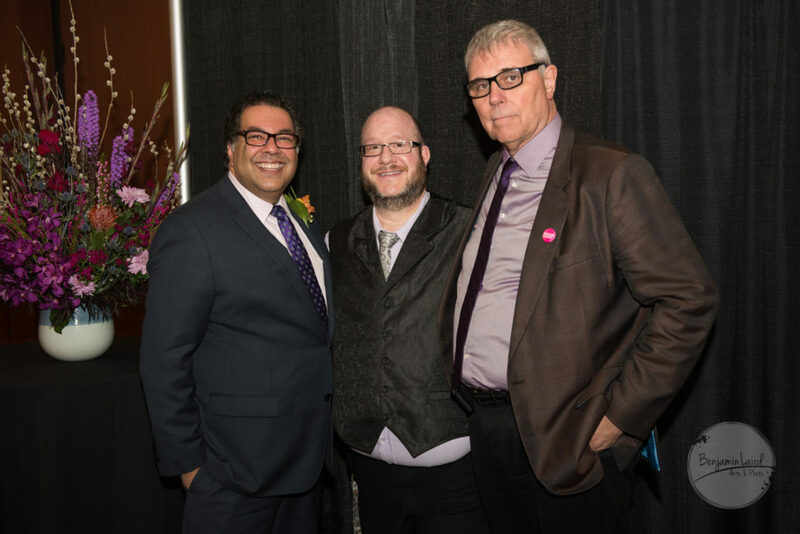 Sandi Somers, a passionate, award-winning filmmaker and mentor, creates thought-provoking films for audiences worldwide while working towards advancing women and LGBTQ in media arts in Calgary and Alberta. Thank you to Champion Sponsor Strategic Group, Youth Arts Showcase Sponsor TELUS, and VIP Table Sponsors ATB Financial Group and Calgary Foundation, as well as Arts Patron Table Sponsors Aspen Properties, Brookfield Residential, Calgary Flames Foundation, DIALOG, TD Bank Group, and the University of Calgary.